Listen, we need you to know something about us: here at Girls With Ideas, we LOVE love. We do! We like hugs, high-fives, and hand-crafted thank you notes. Ah! Are you smiling just thinking about it?! We are! So obviously you won't be shocked that February 13 is one of our favorite unofficial holidays: GALENTINE'S DAY!!! Galentine's Day was created by fictional shero Leslie Knope, the main character of the T.V. show Parks and Recreation. Even though Parks and Rec was a show aimed more at adults than kiddos (bt-dubs you can totally binge it online), there's nothing stopping us from sharing the love with our favorite girl gang! 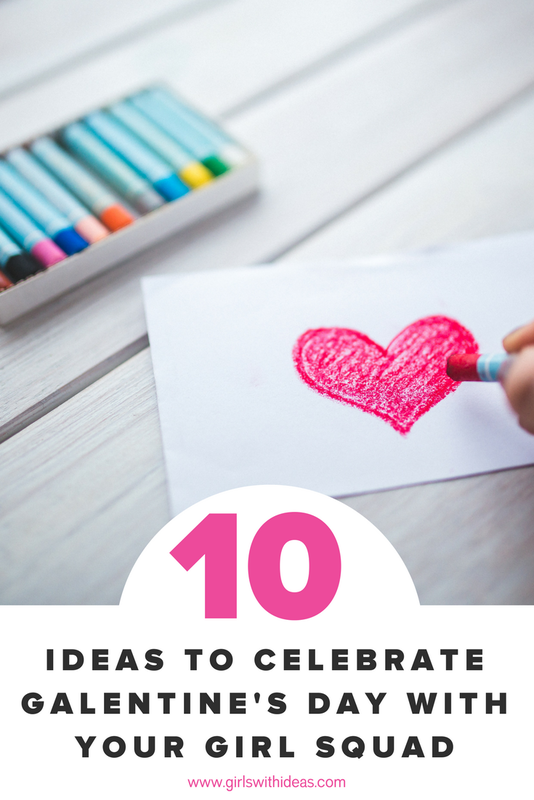 Here's a list of our top 10 ideas to celebrate Galentine's with your squad. Tell your girls that you want to throw a besties bash. A true Galentine's Day serves waffles--lots and lots of waffles. If you have a waffle maker handy, make a DIY waffle bar and let the girls pick their favorite toppings! Yum! Check out this waffle bar from our Galentine's Day Pinterest board. Original waffle bar photo from www.momlovesbaking.com. Grab a bunch of rocks from the backyard (or buy craft painting rocks like these). Spray paint the rocks in your favorite color. Spray paint is always best to use OUTSIDE!!! 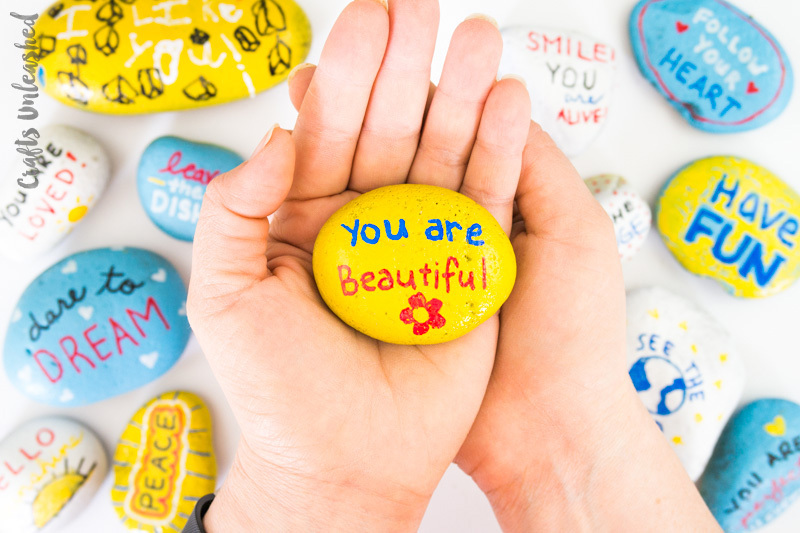 After the rocks dry (we suggest letting them dry overnight), grab some sharpies or paint pens and write some loving, kind messages. Let the rocks dry (again, overnight is best) and load 'em up and deliver them to your girlfriends! Get inspired by these Galentine's Day cards from Amy Poehler's Smart Girls here, here and here. You can free-hand a version of your own, or download the images directly from their page (and they give credit and a link to all the awesome authors). 4. OrrrRR just buy some Galentine's Day Cards! Listen, we know that you're a busy gal. No problem! Check out this awesome tear-out card booklet from Amazon! Just tear out, color, and share! We LOVE these free coloring pages from Alexis over at persialou.com! She offers these two prints in lots of sizes and has a beautiful blog all about it here! This simple, sleek print is available FOR FREE on our free resources page! Want to make it a gift? Easy--just download the print, put it in a frame from the Dollar Store, and wrap it up! She can hang it in her locker or at her desk at home. Say 'thank you' to your favorite sheros with a delicious cupcake! Grab a box or start from scratch with your favorite recipe. Decorate with your favorite Galentine message (or our fav go-to: "Treat Yo Self"). Pack 'em up and deliver them in person: make sure to add compliment and a hug to channel your inner Leslie! We love a good braided friendship bracelet as much as the next girl. But do you know what's super trendy and super easy to DIY? 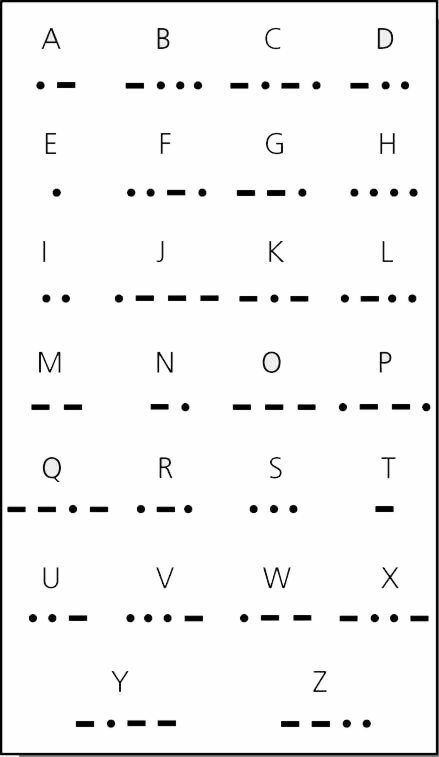 Morse code bracelets! Using this chart, you can spell out ANY message to your gal pal. You could write her name, write "galentine," or even write a short message! Separate each letter with a spacer bead. Tie up the ends and give it to your BFF! Not into crafting your own? No worries, we love this one from Etsy! Order yours for less than $10! Buzzfeed is the queen of lists and we LOVE this idea from their Galentine's day ideas. All you need for this galentine gift is a list of your favorite songs. Write out songs titles (with the artist) that remind you of her. If you can put them into an iTunes or Spotify playlist and share it with her, that's even better! Pick songs that you both love or have fun memories listening to together, songs that you love to make up dance routines to, and DEFINITELY include songs that make you think of her. NEED HELP?! We've got your back. Simply click on the button below to go to the Girls With Ideas Spotify playlist! These tunes are girl-squad friendly and will give you a long list of ideas to get your BFF playlist started! GET THE GIRLS WITH IDEAS SPOTIFY PLAYLIST! Get the Girls With Ideas Playlist! 10. Be an Idea Champion and rock this custom Girls With Ideas tee! There's no better way to show that girls support girls than rockin' a super cute tee like our Idea Champion shirt! Order yours today and get free shipping on any U.S. order! No matter how you choose to celebrate, we want to wish you a very happy Galentine's Day! 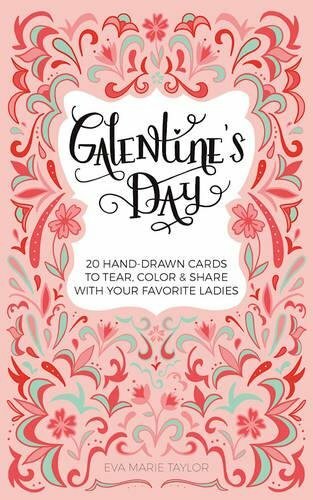 Do you have any fun Galentine's Day traditions? Share them in the comments!